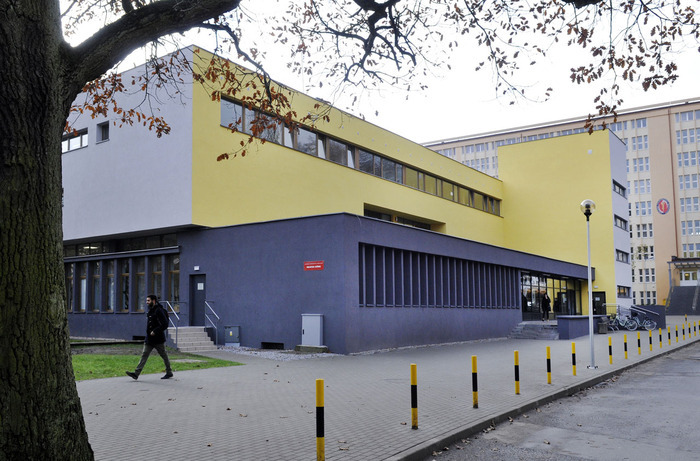 The Main Library and the Libraries of the Faculty of Pharmacy form the library and information system of the Medical University of Gdańsk, under which they support the construction of a scientific and didactic workshop of a modern researcher, academic teacher and student. It is the largest medical library in the Pomeranian Voivodeship available to anyone interested in medical literature. Over 5,000 registered users actively use over 440 000 books and printed magazines and 64 online databases providing access to 200 000 e-books and about 24,000 e-magazines. 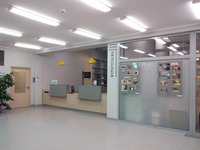 Full information about collections, resources and services can be found on the main library biblioteka.gumed.edu.pl. obtain necessary information in the field bibliography, bibliometrics, and others. 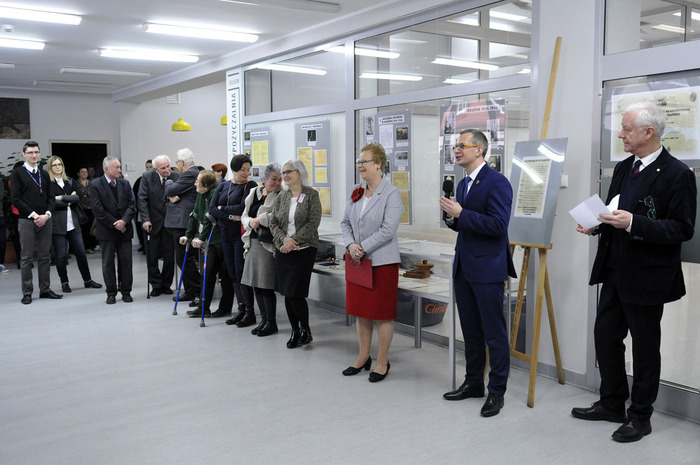 In 2010, in recognition of the merits of Polish librarianship, the Main Library was awarded by the Main Board of the Polish Librarians Association with the Medal of Bibliotheca Magna – Perennisque, i.e. the Grand and Eternal Library – the highest distinction given to organisations and institutions operating in the field of librarianship and book dissemination. The library registers the publishing achievements of the University on an ongoing basis creating an online database which includes publications from 1945. 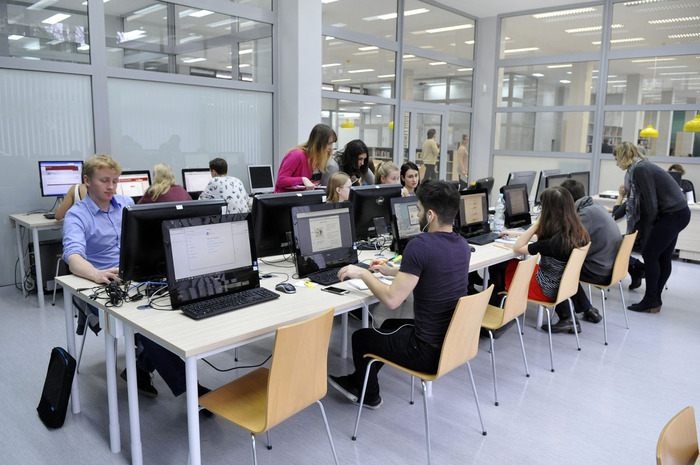 The data contained in the database are the basis for preparing bibliometric analyzes and various evaluations of the University, individuals and individual researchers. 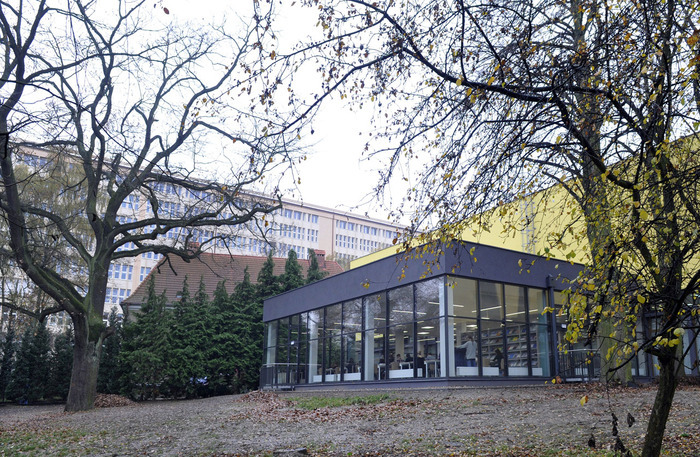 Since 2009 the Main Library has been involved in creating, together with the libraries of the Pomeranian Voivodeship, the Pomeranian Digital Library (PDL). PDL was created as part of a project co-financed in the years 2009-2012 with EU funds. 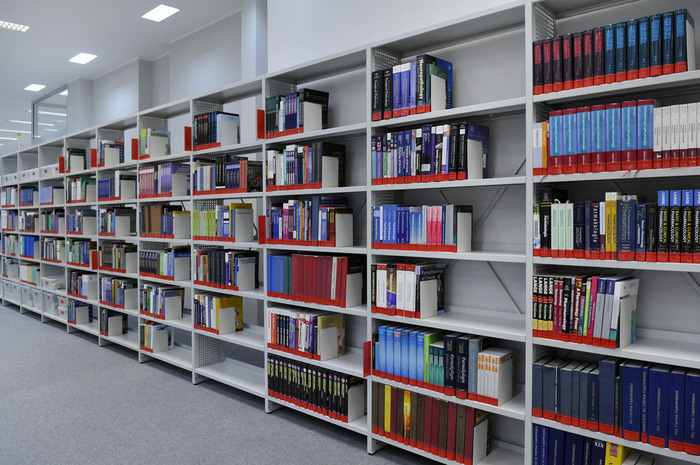 Over 1 800 publications are currently available in the collection of the Medical University of Gdańsk. 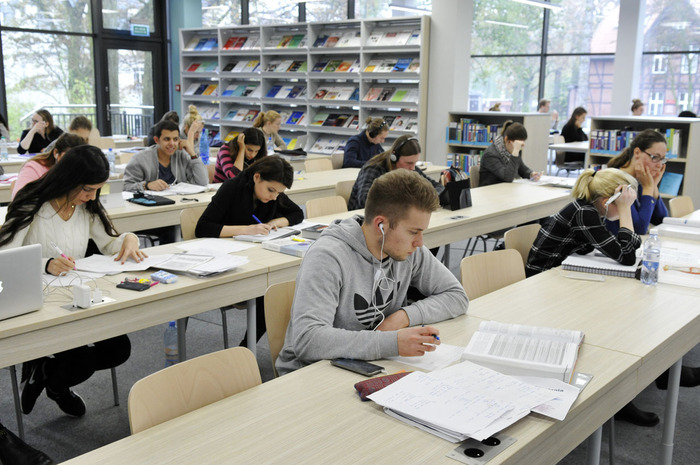 In 2017, the Main Library received a subsidy of 4,329,656.06 PLN for the implementation of the EU project which is being created together with partner libraries of medical universities from Poland (total project value 37,299,411.60 PLN). The aim of the task is to create a platform of the Current Research Information System (CRIS), presenting and promoting scientific achievements and the research potential of all participating units, both jointly and individually. expanding information available in the online catalog by retrospective development of collections – co-financing: 43 010 PLN, implementation period: 2014. From 1968, the headquarters of the Main Library is the building at Dębinki 1 street. 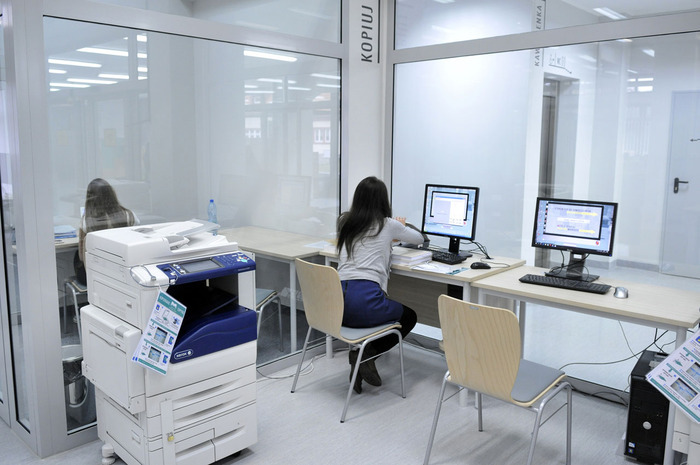 After extension and modernization, users can use the Science Zone, part of which is a newly built reading room. 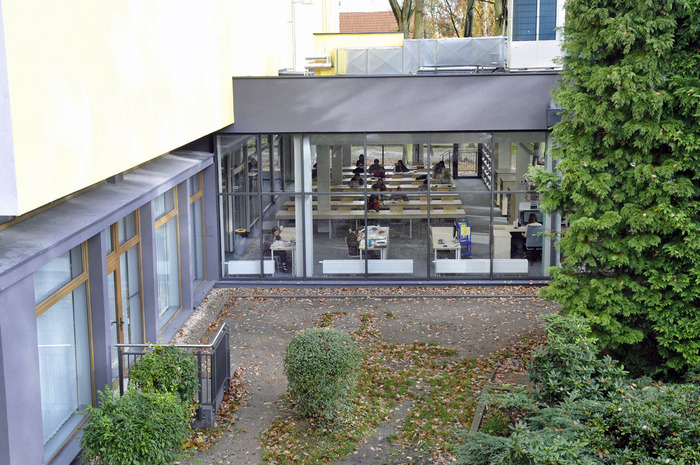 Thanks to the new arrangement of existing spaces, it was possible to organize places for work and study, both individual and group. 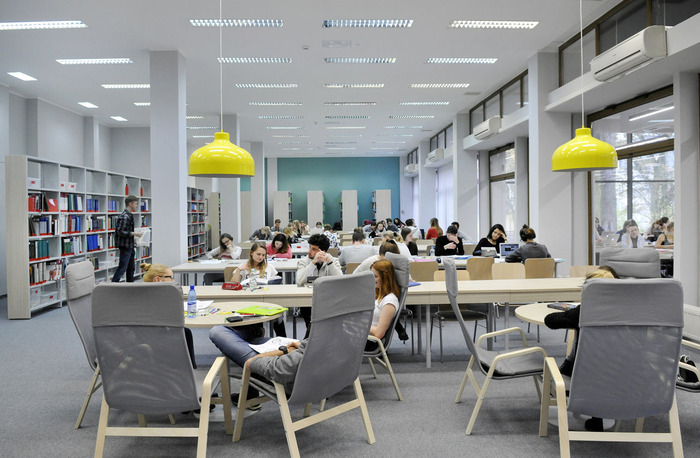 Visitors to the Main Library have 289 seats at their disposal, including 24 computer stations. In the Science Zone you can find the latest literature in all fields of medicine and current magazines. Students and employees can use their own computer equipment via wireless networks. There is also a possibility to make a copy of the necessary materials yourself. issue an occasional bulletin – Librorum Amator.